May 12, '11: The Milan International Film Festival (not to be confused with the Milano Film Festival) is no longer an actual film festival. In the last two years, it has remade itself into a small-time marketing effort for independent (often US-made) films. Their chief promotional tools are the MIFF Awards, whose winners have been announced this week. 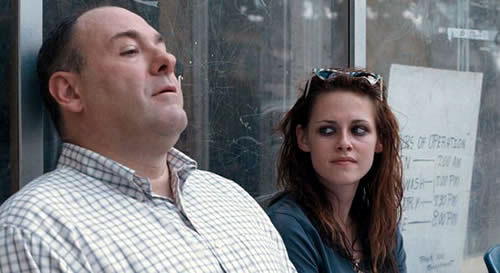 Kristen Stewart was the Leonardo [Da Vinci]'s Horse recipient for Best Actress for her performance as a pole dancer/prostitute in Jake Scott's Welcome the Rileys. Stewart's victory is clearly a case of the performer bringing recognition to the award, and not vice-versa. Other winners included Career Award-recipient Maurizio Totti, the producer of several Gabriele Salvatores films; Best Director Nadia Tass for Matching Jack; and Best Actor Aidan Gillen for Treacle Jr. The Best Picture winner will be selected by audience members following a series of screenings at Milan's Teatro Gnomo. The MIFF Award winners are chosen not by a group of renowned filmmakers and critics, but by the Milan/Los Angeles-based Made in Milan International Film Society, whose members comprise of … Well, your guess is as good as mine. Jennifer Lawrence as Katniss Everdeen: 'The Hunger Games' heroine. Jennifer Lawrence made headlines a while back after it was announced that the Winter's Bone actress had been cast as the female lead – the fighter Katniss Everdeen – in Gary Ross' film adaptation of Suzanne Collins' dystopian bestseller The Hunger Games. The spring 2011 Entertainment Weekly cover above is the first look at Lawrence as Katniss, one of a number of youthful gladiators who must fight to the death in Collins' bleak futuristic world. Katniss, however, ends up surviving one too many fights, much to the consternation – and concern – of that era's powers-that-be. Liam Hemsworth – brother of Thor actor Chris Hemsworth and Miley Cyrus' leading man in the romantic melodrama The Last Song. Josh Hutcherson – lesbian couple Annette Bening and Julianne Moore's hard-to-handle son in The Kids Are All Right. Elizabeth Banks (Man on a Ledge). Veteran Donald Sutherland (MASH, Ordinary People). Two-time Academy Award nominee Woody Harrelson (The People vs. Larry Flynt, 1996; The Messenger, 2009). Best Supporting Actor Academy Award nominee Stanley Tucci (The Lovely Bones, 2009). Willow Shields. Alexander Ludwig. Isabelle Fuhrman. Lenny Kravitz. Jack Quaid. Ian Nelson. Toby Jones. To be released by Lionsgate, The Hunger Games is scheduled to come out in early 2012. Jennifer Lawrence will next be seen in Matthew Vaughn's X-Men: First Class, in which she plays Raven / Mystique. Michael Fassbender. James McAvoy. Nicholas Hoult. Kevin Bacon. January Jones. Rose Byrne. Oliver Platt. Jason Flemyng. Zoë Kravitz. Caleb Landry Jones. Lucas Till. James Remar. Twilight and The Twilight Saga: New Moon actor Edi Gathegi. Kristen Stewart: Actress in the 'Twilight' movies to be seen as Snow White. Starring Kristen Stewart, Chris Hemsworth, and Charlize Theron, Snow White and the Huntsman will be released by Universal on June 1, '12. The Rupert Sanders-directed fantasy adventure had been originally scheduled to open on Dec. 21, '11. Written by Evan Daugherty, Snow White and the Huntsman follows Snow White (Kristen Stewart) and the Huntsman (Chris Hemsworth) as they flee from bounty hunters. Best Actress Academy Award winner Charlize Theron (Monster, 2003) will play the Evil Queen while Pirates of the Caribbean: On Stranger Tides actor Sam Claflin has been cast as Snow White's Prince Charming. Priest actress Lily Collins as Snow White. The Social Network actor Armie Hammer (also soon to be seen in The Lone Ranger) as the Prince. For the time being, The Brothers Grimm: Snow White, which reportedly starts shooting in August, is scheduled to open June 29, '12. Melissa Wallack	and Jason Keller have written the adaptation. Gregory Ratoff's Oscar Wilde, starring Robert Morley in the title role, and featuring Phyllis Calvert, John Neville, and Ralph Richardson. Ken Hughes' The Trials of Oscar Wilde, starring Peter Finch as the tried title character, in addition to James Mason, John Fraser, and Yvonne Mitchell. In 1988, Stephen Frears' Dangerous Liaisons, based on Pierre Choderlos de Laclos' novel and starring Glenn Close, John Malkovich, and Michelle Pfeiffer, opened to wide acclaim and went on to receive seven Oscar nominations, including Best Picture, Best Actress, and Best Supporting Actress. The following year, Milos Forman's Valmont, also based on Choderlos de Laclos' novel and toplining Colin Firth, Annette Bening, and Meg Tilly, was both a critical and a box office misfire. Now, it remains to be seen whether The Brothers Grimm: Snow White will have its release date moved up as well. Update: The Brothers Grimm: Snow White was later renamed Mirror Mirror. 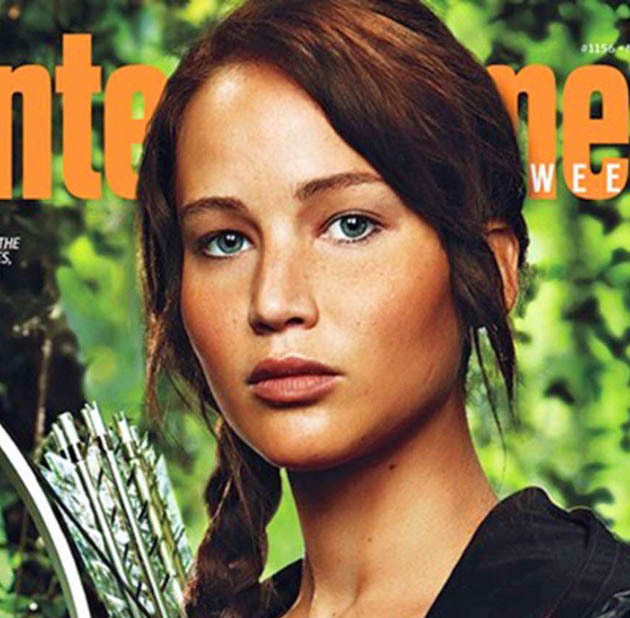 Jennifer Lawrence Katniss Everdeen in The Hunger Games cover via EW.com. Snow White's biggest foe isn't the Evil Queen, but her own mirror image. Days ago, Universal moved up the release of Snow White and the Huntsman, starring Kristen Stewart, Chris Hemsworth, Sam Claflin, and Charlize Theron, from late December 2012 to June 1. Not to be outdone, Relativity Media has moved up the project currently known as Brothers Grimm: Snow White, starring Lily Collins, Armie Hammer, and Julia Roberts, from June 29, 2012, to March 16, according to The Hollywood Reporter. Shades of Armageddon vs. Deep Impact, Oscar Wilde vs. The Trials of Oscar Wilde, Dangerous Liaisons vs. Valmont, and Volcano vs. Dante's Peak. And never mind the fact that March 16 is less than 10 months away, and that neither Snow White project has begun filming. Apparently, all Relativity Media cares about at this stage is to place its Snow White ahead of Universal's. Also, last year a March release did wonders for Tim Burton's Alice in Wonderland (or perhaps vice-versa). And to think Universal and Relativity were financial buddies at one point, e.g., the Matt Damon vehicle Green Zone. I should mention that Disney may have its own China-set Snow and the Seven released in 2013. Personally, I think they should have a China-set Cinderella, as that country is supposed to be the birthplace of that tale about beautiful women with little feet. The day after Relativity Media announced that its Lily Collins-Armie Hammer-Julia Roberts Snow White project currently known as Brothers Grimm: Snow White would be released on March 16, thus a few months ahead of Universal Pictures' Kristen Stewart-Chris Hemsworth-Charlize Theron Snow White and the Huntsman, which had been moved up to July 1 so as to arrive in theaters ahead of Relativity's Snow White then scheduled for a late July release… Are you following all that? Anyhow, Relativity has announced that its own Snow White, to be directed by Tarsem Singh, already has its seven dwarves: Mark Povinelli, recently seen in the Robert Pattinson-Reese Witherspoon vehicle Water for Elephants; Jordan Prentice; Danny Woodburn; Sebastian Saraceno; Ronald Lee Clark; Martin Klebba; and Joey Gnoffo. Now I'm waiting for Universal to come up with 14 dwarves just out of spite. Starring frequent travelers Daniel Radcliffe, Emma Watson, and Rupert Grint, Harry Potter and the Deathly Hallows: Part 2 is the last installment of the billionaire Harry Potter franchise. 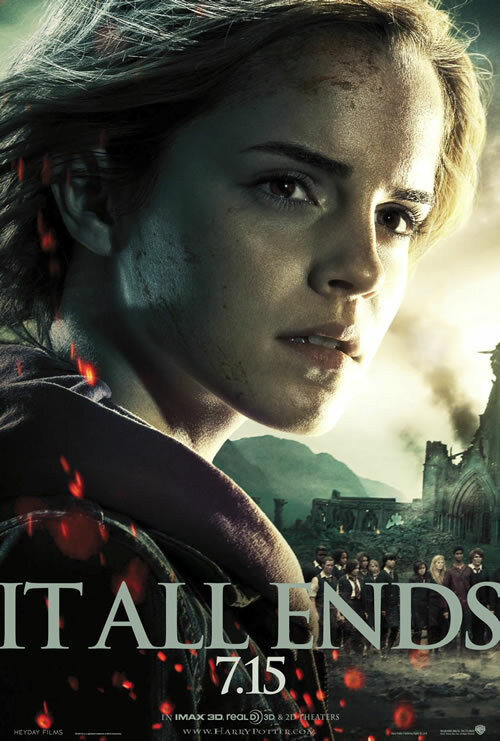 In the recently released poster seen above, we get to see a close-up of Hermione, played by Emma Watson. Harry Potter and the Deathly Hallows: Part 2 promises a climactic battle between the forces of Good (Harry Potter and pals) and Evil (Lord Voldemort, played by Ralph Fiennes, and pals). The special effects should be interesting, but you really don't need a crystal ball to know beforehand who'll win, even if you haven't bothered with reading the Harry Potter bestsellers. Directed by David Yates, Harry Potter and the Deathly Hallows: Part 2 opens on July 15 in the United States. Also in the cast: Gary Oldman, Helena Bonham Carter, Jason Isaacs, Emma Thompson, Tom Felton, Michael Gambon, John Hurt, Maggie Smith, Robbie Coltrane, Kelly Macdonald, Ciaran Hinds, David Thewlis, Timothy Spall, Miranda Richardson, Julie Walters, Jim Broadbent, Warwick Davis, and Miriam Margolyes. Directed by Bill Condon, and starring Kristen Stewart, Robert Pattinson, and Taylor Lautner, The Twilight Saga: Breaking Dawn - Part 1 hits theaters November 11. Above is the teaser poster for the upcoming fall blockbuster. Melissa Rosenberg adapted Stephenie Meyer's bestselling novel, in which vegetarian vampires, werewolves, and a human-vampire hybrid (a humpire?) face off a group of mean-spirited vampires. The outcome of the confrontation, however, can only be seen in 2012, when Breaking Dawn - Part 2 comes out. Also in the Twilight Saga: Breaking Dawn cast: Peter Facinelli, Kellan Lutz, Dakota Fanning, Nikki Reed, Jackson Rathbone, Ashley Greene, Elizabeth Reaser, Billy Burke, and Michael Sheen. Plus Maggie Grace, Lee Pace, Anna Kendrick, Christian Serratos, Sarah Clarke, Michael Welch, MyAnna Buring, Booboo Stewart, Christian Camargo, Julia Jones, and Alex Meraz. The Los Angeles Film Festival has announced Guillermo del Toro as Guest Director of its 2011 edition. Del Toro will also introduce the festival's closing night film, Troy Nixey's Don't Be Afraid of the Dark, on June 26 at Regal Cinemas Stadium 14 L.A. LIVE. Directed by John Newland, the TV movie starred True Grit's Kim Darby and Jim Hutton. The new version has added a child to the proceedings. The story follows Sally (Madison), a young girl who moves to Rhode Island to live with her father (Pearce) and his new girlfriend (Holmes) in the 19th-century mansion they are restoring. While exploring the house, Sally starts to hear voices coming from creatures in the basement whose hidden agenda is to claim her as one of their own. FilmDistrict will release Don't Be Afraid of the Dark in the US on August 26. As Guest Director, del Toro will also present at the festival a film “that has been an influence to him.” The screening will be followed by “a conversation” with the director of The Devil's Backbone and Pan's Labyrinth. Produced by Film Independent, the 2011 Los Angeles Film Festival will screen more than 200 feature films, shorts, and music videos, representing more than 30 countries. The LA Film Festival runs June 16-26. The upcoming exhibition BEAUTY CULTURE, which opens on May 21 at the Annenberg Space for Photography in Century City, will feature a new 30-minute documentary directed by Lauren Greenfield. Among the film's subjects are photographers Albert Watson, Melvin Sokolsky and Tyen; fashion models Crystal Renn, Carmen Dell'Orefice and Emme; and agents Eileen Ford and Bethann Hardison. Jamie Lee Curtis, daughter of famous beauty Janet Leigh, is one of the personalities providing additional commentary. Filmmaker and photographer Lauren Greenfield's credits include THIN, kids + money, Girl Culture and Fast Forward: Growing up in the Shadow of Hollywood. THIN won the John Grierson Award for Best Documentary at the London Film Festival. 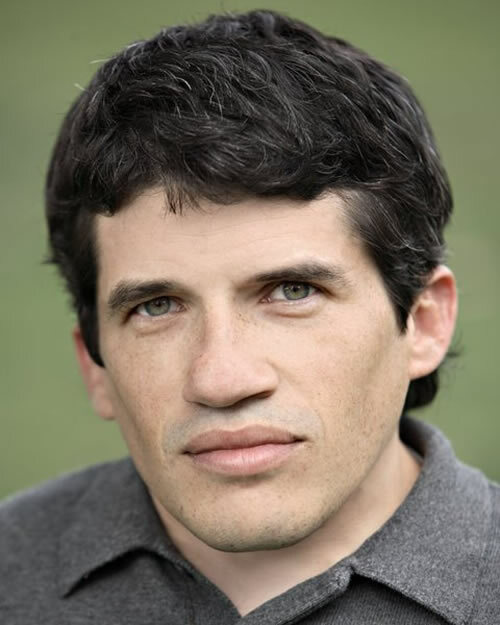 Greenfield also serves on the Sundance Alumni Advisory Board. BEAUTY CULTURE opens to the public in Los Angeles on May 21, 2011 and runs through November 27, 2011. Wednesday through Sunday: 11 am - 6 pm, closed Monday and Tuesday. Admission is free. The Annenberg Space for Photography is located at 2000 Avenue of the Stars in Century City. For more information visit www.annenbergspaceforphotography.org. 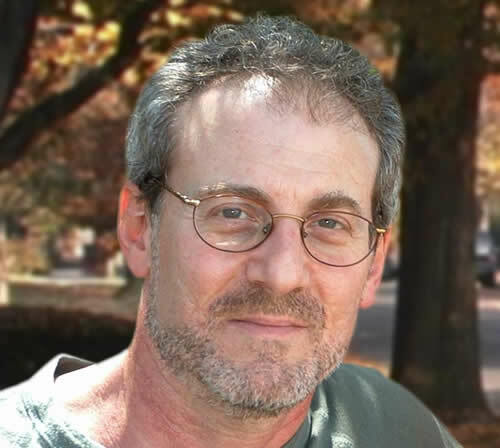 The International Documentary Association will present “The Art of the Personal Documentary: A Conversation with Doug Block” at 7:30 p.m. on Monday, May 16, at The Cinefamily (the old Silent Movie Theatre). How did his filmmaker journey lead him to making personal documentaries? What are the hardest moments he's had to face while making work about his family? How has he developed the ability to still make strong directorial choice when the subject of his films is, quite literally, so close to home? How does he navigate production as a self-shooter who is in the film? Doors Open at 7:00pm. Discussion & Audience Q&A: 7:30pm - 9:00pm. Wine Reception to Follow. The Cinefamily: 611 N. Fairfax Avenue, Los Angeles. Insanity. All these fairy tales movies. Hollywood is creatively bankrupt. First comic books, now fairy tales. One studio is even doing a big screen adaptation of “Hey Diddle Diddle” - it's just nuts. True, as per the article we know members of MMIFS choose the nominees and most of the winners. But we don't know who those members are — or how many of them are out there. It is voted by their members as it is in several awards, included The Oscars.